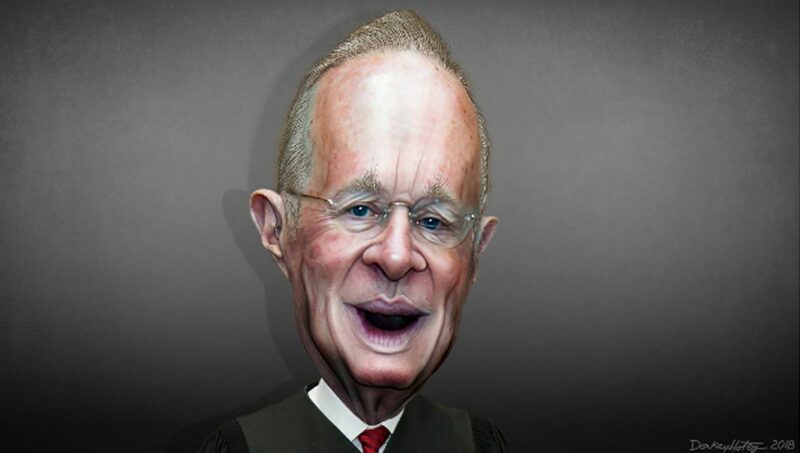 Justice Anthony Kennedy's Retirement: End of Roe v. Wade? Supreme Court Justice Anthony Kennedy announced his retirement from the court on Wednesday. His retirement, effective at the end of July, means that President Donald Trump gets to name a more conservative replacement who could very well reverse many liberal precedents of the past several decades. President Trump immediately announced that a search for a new Supreme Court justice is on. DONALD TRUMP: We will begin our search for a new justice of the United States Supreme Court that will begin immediately, and hopefully we’re going to pick somebody who will be as outstanding. GREG WILPERT: President Ronald Reagan appointed Justice Kennedy back in 1988, making him one of the longest serving Supreme Court justices. Even though he usually sided with the conservative majority in recent years, he was often a swing vote who many times sided with the four liberal justices on the court. As a result, decisions in favor of gay marriage, abortion, affirmative action, limits on the death penalty, and for rectifying housing discrimination all had liberal majorities during his tenure. These rulings could now be reversed. Joining me to analyze the legacy and consequences of Anthony Kennedy’s retirement is Francis Boyle. He’s a professor of international law at the University of Illinois College of Law. Also he’s the author of numerous books on international law, and his latest book is “Poems Against the Empire.” Thanks for joining us today, Prof. Boyle. FRANCIS BOYLE: Well, thank you very much for having me on, and my best to your viewing audience. GREG WILPERT: So, let’s start with Justice Kennedy’s legacy. I mentioned that he was the swing vote on many landmark decisions that took a normally more conservative Supreme Court in a slightly more liberal direction, such as abortion, affirmative action, et cetera. What would you say is Kennedy’s most important legacy on the Supreme Court? FRANCIS BOYLE: Well, there’s pluses and minuses. I think the most important legacy was gay rights, that he really set the tenor and the future of gay rights at the Supreme Court and for the American people. And even Trump has said that the question of gay marriage is now closed, and that is really thanks to Justice Kennedy. I think that would be one of the most positive accomplishments of his career. Although he did retreat somewhat in the Colorado baker’s case. But you know, there it is. What can I say. On the negative, of course, Bush v. Gore, where five Republican justices stole the 2000 election from the American people and gave it to Al Gore. I’m sorry, to Bush Jr. Stole it from Al Gore, gave it to Bush Jr. And then also negatively, his Citizens United case had a terrible impact on our democratic process, basically finding that corporations are people who have First Amendment rights just like rest of us, and therefore they can buy off our politicians, which we have been seeing taking place over ever since that decision. I would not say it’s a mixed record. The Democrats, they are are trying to, you know, compare him, say he’s, something moderate about him. I guess the strategy is to convince Trump that they want someone like Kennedy. But I don’t think that’s what they’re going to get. I think Trump will give us someone just like Gorsuch, who was behind me in Harvard Law School, a hardline neoconservative member of the Federalist Society. That is, right-wing, racist, bigoted, reactionary, elitist, warmongering, totalitarian. So I suspect, and indeed Trump himself has publicly stated, he’s getting all his nominees directly from the Federalist Society, and almost all of them he’s just rubber stamped for the U.S. courts of appeal and the district courts. Now, obviously, this one is not going to be a rubber stamp. But if you look at the cast of characters on his list, most of them come from this Federalist Society background. So there it is. Between you and me, it does not look good at all for any of those precedents you have mentioned, including Roe v. Wade. I think that that will be reversed and sent back to the states of the union to be fought out on a state-by-state basis in the state legislatures all over the country, and we’ll, we’re going to have a patchwork on that. So you know, there we are. What can I say. Between you and me, I don’t think it looks very good. We’ll probably get another Gorsuch following Scalia. It could be a man. It could be a woman. But there it is. GREG WILPERT: So, many say that regardless of who Trump nominates, and presumably it will be somebody to the right of Justice Kennedy, that would mean that Chief Justice John Roberts will now be the deciding voice. That is, he’s going to be, so to speak, the center, the political center, of the new court. Would you agree with that assessment? And if so, what would that mean for the future of the, of the court’s direction? FRANCIS BOYLE: Well, I agree with that assessment. Roberts was behind me at Harvard Law School. I’m familiar with his record. Again, he is a Federalist Society guy, part of that movement. Extremely conservative. Any attempt to portray him as a liberal or a moderate is total baloney. I saw Akhil Amar on television last night saying Roberts was a very good man. Now, this is all elitist law school claptrap for law professors who went to Harvard and Yale Law School. They all have a little bitty clique, and they’re more loyal to each other than up to the American people and our democratic system of government. So maybe, you know, Roberts is slightly a scintilla to the left of Bob Gorsuch, but that’s about it. It doesn’t look good at all, between you and me. GREG WILPERT: So I mean, clearly this is a-. You’ve mentioned this already, and many many people are saying this, that the court will probably move to the right, reversing many important precedents that actually Anthony Kennedy helped set. But does it, what do you think, what would you say does this mean for precedent in general? I mean, does the adherence to precedent become meaningless as a result of this? FRANCIS BOYLE: Well, sure. You know, you have to understand this, that if you go back to the nomination of Bob Bork, which I opposed, I gained some advice to the Senate Judiciary Committee. Every nominee since then, whether Democrat or Republican, has been given public relations handlers by the White House. And the public relations handlers then develop a narrative, a script for these nominees to follow. And this is true for Democrats or Republicans, all of them. And they stick to the script strictly, to try to make it appear to the American people that they are moderate and reasonable jurists, when in fact they aren’t. I mean, Alito and Roberts, who were behind me at, Roberts was behind me at Harvard Law, he was just as hardline as Scalia. But he stuck to the strict script and got on there. Clarence Thomas stuck to the strict script and was going to get on there, until Anita Hill appeared. The difference with Bob Bork is that he rejected the White House script and PR handlers, and decided to let Bork be Bork. All the American people saw what a right-wing reactionary Bork was, and demanded that the Senate Judiciary Committee reject him. So this is not a case of the left wing inflicting character assassination on Bob Bork. This is a case where he was just rejected on the merits. But ever since then, all these nominees have learned that lesson, and they will present their narrative, their script, and they will stick to it to the end. So we’re not going to-. And the Democrats aren’t going to call them. They didn’t really call Gorsuch on anything. So this is all about raw power politics. Does President Trump and Mitch McConnell, and the Republican Party, and the right-wing media like Fox, and Rush Limbaugh, and Mark Levin, and all the rest of them, have the power to ram this new candidate through the Senate Judiciary Committee? And you know, the Democrats will go up there and hem and haw, and play Kabuki theater. But at the end of the day, you know, they’re going to go along with this, as they did with Gorsuch. And the only people who suffer here are the American people, our democracy. And of course, all these precedents, some of which you’ve mentioned, that in my opinion will be overruled in historically short order. I don’t think it will happen immediately. Two, three years. Roe v. Wade, affirmative action. I don’t think there’ll be a retreat on gay rights. I think Justice Kennedy has made that difficult. But the baker’s case, we will see scaling down by the Supreme Court of gay rights, an end to affirmative action, an end, a gutting of the Voting Rights Act, et cetera. So this is what we can expect to see. Roberts is a practitioner of the philosophy of death by a thousand cuts; that he figures the more effective way politically to get rid of these precedents that he doesn’t like is one decision after another after another. But you know, when it comes to something like Roe v. Wade, I think the reactionaries have decided our time has come, and they’re going to get rid of that one in short order. GREG WILPERT: OK. Well, unfortunately we’re going to have to leave it there for now. 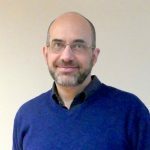 I’m speaking to Francis Boyle, Professor of International Law at the University of Illinois College of Law. Thanks for having joined us today, Prof. Barr. FRANCIS BOYLE: Well, thanks for doing the interview. GREG WILPERT: And thank you for joining The Real News Network. Also, if you like stories such as this one, I want to remind you that we recently started our summer fundraiser and need your help to reach our goal of raising $200000. Every dollar that you donate will be matched, and unlike practically all other news outlets, we do not accept support from governments or corporations. Please do what you can today.